Mother Johnell Willis Reed, the daughter of the late John and Mary Walker Willis, was born in Blackville, South Carolina on December 3, 1918. She departed from her earthly home on April 22, 2018 while at Laurel Baye Healthcare of Blackville, South Carolina. Early in life, she received her education at Macedonia School of Blackville, South Carolina. At an early age, Johnell surrendered her life to Christ and became a member of the Macedonia Missionary Baptist Church, Blackville, South Carolina. 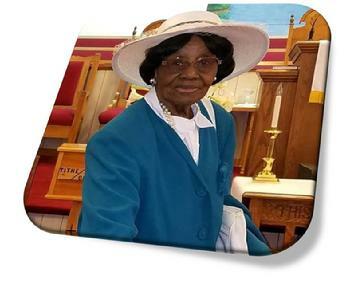 It was there that she served the church family as a Sunday School Teacher, member of the Pastor’s Aide Club, member of the Macedonia Sanctuary Choir, and most recently Mother of the Church. Johnell, affectionately known as “Ma”, never met a stranger. She was loved by everyone who came in contact with her. She was direct, jovial, and fun loving to be around. For those attributes, she will be truly missed. She was predeceased by her husband, Benjamin Reed; and one daughter, Regina Hendrix. To cherish fond memories, she leaves her son, Joe Frank Reed of the home; a step-daughter, Janelle Jenkins; a brother, Pete Willis (Mary) of Jacksonville, Florida; Six grandchildren: Curtis Reed (Ernestine), Kelvin Reed, Donovan Reed, Omari Hendrix (Shasai), Christopher Peeples, and Regina Reed. Fourteen great grandchildren; One great great grandchild; One sister-in-law, Rosa White of Far Rockaway, New York; and a host of nieces, nephews, other relatives, and friends.